When changing a verb from direct to indirect, do we change the verbs as well? How do we report imperative sentences? 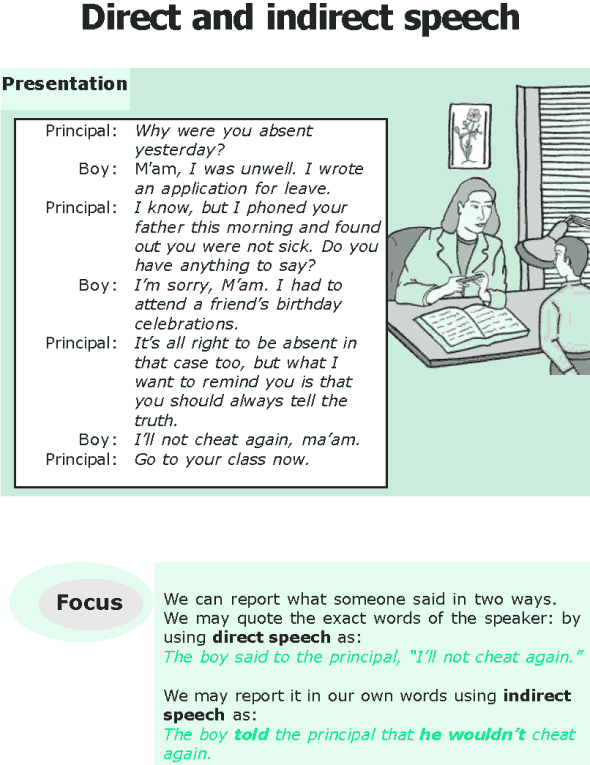 The boy told the principal that he wouldn’t cheat again.